You will find below the horoscope of Tatjana Simic with her interactive chart, an excerpt of her astrological portrait and her planetary dominants. If you know the time of birth of Tatjana Simic, we would appreciate it if you would send us your information with your source, at stars@astrotheme.com. To thank you for contributing to the enhancement of our astrological database, we shall be glad to send you the astrological portrait (34 pages) of this celebrity. Horoscopes having the same aspect Moon sextile Neptune (orb 1°33'): Johnny Depp, Mère Teresa, Sophie Marceau, Jessica Alba, James Dean, Richard Gere, Vanessa Hudgens, Edith Piaf, Fergie (singer), Gordon Ramsay, Charles de Gaulle, Jean Dujardin... Find all the celebrities having this aspect. Horoscopes having the same aspect Mars conjunction Uranus (orb 1°34'): Johnny Depp, Rihanna, Robin Williams, Robert Downey Jr., Joaquin Phoenix, Françoise Hardy, Vincent Cassel, Sarah Jessica Parker, Alain Juppé, Ava Gardner, Jimmy Page, Usher (entertainer)... Find all the celebrities having this aspect. Celebrities clicked on in real-time: 576,366,173 times. Tatjana Simić (born June 9, 1963, Zagreb, Croatia], is a Dutch-Croatian singer and actress. Better known as simply Tatjana, she moved with her mother and sister to Rotterdam in 1979. Early career In the 1980s, having won a national modelling contest, she commenced work as an actress and model. In the Netherlands and Germany today, she remains known for her portrayal of the character "Kees Flodder", daughter of a dysfunctional and anti-social family engaged in a constant battle with the authorities, in several Dutch comedy films and television shows featuring the Flodder family in the 1980s and 1990s. The original movie was extremely popular in the Netherlands with two and a half million viewers. Here are some character traits from Tatjana Simic's birth chart. This description is far from being comprehensive but it can shed light on his/her personality, which is still interesting for professional astrologers or astrology lovers. 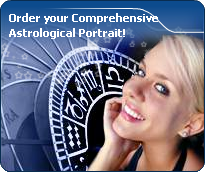 In a matter of minutes, you can get at your email address your astrological portrait (approximately 32 pages), a much more comprehensive report than this portrait of Tatjana Simic. Warning: when the birth time is unknown, which is the case for Tatjana Simic, a few paragraphs become irrelevant; distributions in hemispheres and quadrants are meaningless, so are dominant houses and houses' accentuations. Therefore, some chapters are removed from this part. Like the majority of Earth signs, Tatjana Simic, you are efficient, concrete and not too emotional. What matters to you is what you see: you judge the tree by its fruits. Your ideas keep changing, words disappear, but actions and their consequences are visible and remain. Express your sensitivity, even if it means revealing your vulnerability. Emotions, energy and communication must not be neglected; concrete action is meaningless if it is not justified by your heart, your intellect or your enthusiasm. Cheers for communication and mobility, Tatjana Simic! The predominance of Air signs in your chart favours and amplifies your taste for relations and for all kinds of short trips, whether real (travels) or symbolic (new ideas, mind speculations). You gain in flexibility and adaptability what you lose in self-assertion or in pragmatism. Fire's qualities are not very present in your chart, with only 6.47% instead of the average 25%, which means that you may lack warmth, enthusiasm, conquering spirit, or energy. You may look indifferent to others, with almost no desire, no joy of life or no enterprising ability. Actually, it is not true, but you should let go, force yourself to be more daring, and show your amazement as well as your vitality. You certainly have as much energy as others, you just need to release it, and it is up to you to display more of it, since it will be all to your benefit: shout, sing, pull faces, dance! That's the right mean for you... In the end, you'll never be accused of being sad, phlegmatic or a killjoy! The three most important planets in your chart are Venus, Saturn and Mercury. After this paragraph about dominant planets, of Tatjana Simic, here are the character traits that you must read more carefully than the previous texts since they are very specific: the texts about dominant planets only give background information about the personality and remain quite general: they emphasize or, on the contrary, mitigate different particularities or facets of a personality. A human being is a complex whole and only bodies of texts can attempt to successfully figure out all the finer points. Your sensitivity is withdrawn, Tatjana Simic: more than anyone, you tend to lock yourself in your ivory tower, as you are aware of a kind of superiority that may be real, though overrated. Your moods are not perceptible because you control them with a tight fist. It is difficult to know if you are happy or upset because you show nothing. You avoid situations which compel you to reveal your emotions because you are not demonstrative. Please, be aware that it is not your amorous behaviour that is being analyzed, but the daily expression of your sensitivity. You dread the crowd and you need calm, and even solitude, to feel comfortable. You are well-equipped to remain balanced in all circumstances, but it may prove beneficial if you progressively take a relaxed attitude and show more dedication, as you are worth it; it is easier for you to exteriorize your feelings when your projects or your ambitions justify that you do so. You do not practice gratuitous outpourings, particularly when your are with a group, because you are afraid to open up, as if you were on the defensive, without any reason most of the times. Your mind is calm and balanced; even though you assimilate slowly, your memory is remarkable. Your judgment is based on reflection and reason and draws on past experiences. Tatjana Simic, you are a good adviser, a reliable person whom people can confide in discreetly. You are full of good sense, cautious, methodical and disciplined and you are able to carry many good projects to a successful conclusion. You are very opinionated and determined in your actions. However, your tendency for intolerance and prejudices may offend your entourage. They wish that you exercised more flexibility instead of systematically refusing what cannot be immediately checked. You usually express yourself with a lot of charm and this is what allows you to get people to better accept your well-established habits. There is so much voluptuousness and so much charm in your personality, Tatjana Simic! You are what is called a “nature” and when confidence is established, slowly but steadily, you become deeply attached to your partner and you can be filled with passion. It may take months, even years, but you are so generous and affectionate that, in most cases, your relationship has many chances to blossom, with time. You are very physical and sensual and you are very keen to delight in your intimate moments. This aspect of your amorous relationship usually contributes to its sustainability. Everything seems idyllic, Tatjana Simic. It would be so if your jealousy and your possessiveness did not get started simultaneously with your powerful feelings. But you have so many assets, so be content! Tatjana Simic, you skilfully make use of your energy and you are like the arrow that reaches its target with great precision: with piercing eye and sharp mind, you take action meticulously and efficiently. Like the surgeon with his scalpel, you know exactly what you want and you belong to the category of specialists, not the generalists. Critical, pernickety, extremely organized, you want to foresee and to analyze. You prefer to master your business too well rather than not enough, even if you must put a huge, sustained, long lasting effort into it. Sexually, you remain fanatical about cleanliness. You may be prone to fantasies such as fetishism. Your love life is fine if you avoid the unforeseen events that you loathe. This text is only an excerpt from of Tatjana Simic's portrait. We hope that it will arouse your curiosity, and that it will prompt you to deepen your knowledge of astrology, as well as to visit and use the wide range of free applications at www.astrotheme.com.